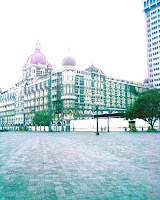 Mumbai the nerve center of India was caught off guard and tortured for 59 hours by the terrorists that came from Pakistan. The coast guards failed, the navy failed and most of all the Central UPA Government failed. This attack enraged the entire nation and the every metropolitan city showed solidarity with the weeping marine city. However, the government chose to turn a deaf ear and besides empty promises gave nothing to the citizens of the country. Mumbaikars took an oath to counter terrorism but there were politicians who mocked at the angry and sad people of the city as well. The citizens of Mumbai are famous for being rich, classy, educated, trendsetters, popular and for everything else but not for voting. Yet, today I saw a change as I witnessed the elite and the elitest people coming out to the polling booth. There was determination on their faces, determination to see a change. For five years, the country has been shattered by terrorism but this time Mumbaikars seem to have pledged to make a difference. Bollywood stars have managed to come out and vote. Vidya Balan said, "by not voting we lose the chance of getting a better government". Shahrukh Khan took a flight from South Africa for voting. Aamir Khan had written on his blog that because people like him did not vote in the last election; present government was elected. Therefore, he cast his vote today. Youth is in the majority and people of Mumbai are considering security to be the major issue for chosing their Prime Minister. The scenario that I witnessed today was very pleasing. I hope that we do see a good change happening at the center. Let the nation have a stronger, better and democratic government.